CNBC is reporting today that more private-sector jobs were created in October than economists expected. …Overall, the service sector accounted for the bulk of the job creation, adding 150,000 jobs. Professional and business services added the most positions, up 109,000. Job losses were seen in the trade, transportation, and information sectors, as well as education. Leisure and hospitality contributed 45,000 to the total while health care and social assistance grew by 44,000. In terms of business size, job gains were spread evenly, with companies that have more than 500 employees hiring 90,000 while those with fewer than 50 added 79,000. Part of this growth is the result of deregulation, and part of this growth is in anticipation of tax cuts that will be favorable to the middle class and to business growth. It will be interesting to see how the increase in the number of people re-entering the job market looking for jobs impacts the unemployment numbers that will come out this week. CBN News is reporting today that thousands of America‘s coal workers gathered in Washington, D.C., yesterday to protest new Environmental Protection Agency (EPA) regulations that will shut down the coal industry in America. More than 200 coal-fired plants have already announced they’re closing. Dailer said it will be some 350 by the end of next year. These coal miners, workers and officials rallied on Capitol Hill because only Congress or the courts can stop the EPA. Just for the record, I am not in favor of air pollution–but I do believe that the government is quite capable of over-regulating. According to the U.S. Energy Information Administration, in 2012 coal provided 37 percent of the electricity generated in America. At the present time, there is not a reliable ‘green’ source of energy to replace that power. Until the ‘green’ energy industry is more reliable and more economical, we need to leave our coal plants open. CBS 2 in New York City posted an article Wednesday about an investigation they had done into New York City’s illegal dinner parties. There are a number of underground supper clubs operating in the city, and they are as of yet, unregulated. But some critics have concerns about these unregulated dinner parties. “It definitely falls into a gray area,” said Leon Lubarsky, owner of Letter Grade Consulting. Lubarsky’s staff of retired New York City health inspectors advises restaurants on health regulations. But if caught hosting an underground dinner party, the hosts could be fined $2,000 and ordered to shut down. The price to get into one of these underground supper clubs ranges from $40 to several hundred. Some of the hosts say they are in it simply for the love of food, while others hope to turn a profit. I have very mixed emotions about this. In Massachusetts I was involved in a church that was offering a monthly free dinner to whoever wanted it. Our kitchen help had to be certified, all food had to be cooked on the premises, and all ingredients posted. The rules were there to protect those eating the food. My feeling is that if the hosts (or hostesses) of these dinner parties are charging for the dinners, they should be regulated–they are essentially operating a restaurant–in their homes or wherever. I also wonder what would happen if anyone got sick after one of these dinners. Would the host (or hostess) be at risk of being sued? I am not a big fan of government regulation–I think taking salt off of the table at restaurants or banning large sodas is stupid. However, I do think that food preparation should be overseen by the Board of Health in order to protect the public. The National Journal posted an article on Thursday about increased regulations under the Obama Administration. The article noted that during the first two years of President Obama’s term there were more regulations than normal. In 2012, the number of regulations decreased as regulations became a campaign issue. Federal agencies are sitting on a pile of major health, environmental, and financial regulations that lobbyists, congressional staffers, and former administration officials say are being held back to avoid providing ammunition to Mitt Romney and other Republican critics. The article posted a chart to illustrate how Washington plays the regulations game: Unfortunately, I cannot figure out how to post it here, so please follow the link to the article to view the chart. The bottom line is simple–the regulations game is played by both parties. Among the most politically controversial rules is one that would slash toxic tailpipe pollution from gasoline, but that could also slightly increase costs at the pump. That rule, say industry lobbyists and environmentalists who work closely with EPA, has been sitting at the agency, ready to roll out, for nearly a year. But the White House was reluctant to regulate gasoline in an election year in which pain at the pump has ignited fierce firestorms. Before you vote, please consider this report, and please remember President Obama’s statement to Russian President Medvedev that he would be more flexible in dealing with the Russians in a second term. I sincerely believe that a second term of President Obama will destroy America as we have known it. Yesterday the Daily Caller posted an article about the Dodd-Frank bill that was supposed to remedy the problems that caused the 2008 economic meltdown. Aside from the fact that the bill does not address the major cause of the meltdown–the sub-prime mortgage market, there are a few other issues with the bill. According to a release The Daily Caller obtained that will be sent out with the announcement of the new Web service, the legislation — and the rules government regulators have written to go with it — has already had a profound effect on the financial sector. Regulators have written only 185 of the expected 400 rules. But those 185 rules are expected to cost the private sector more than 24 million man-hours each year to comply. How much money does 24 million man-hours actually cost the private sector? Punishing people who make a profit will not prevent financial difficulties in the future, it will only create them. It is time we repealed Dodd-Frank and waited for a pro-business Congress to rewrite it. There is nothing wrong with being pro-business–business provides jobs and income for Americans. If we do not support business, we will eventually have a nation where everyone expects the government to support them and there is no one to pay taxes to the government. Unless there is serious change in Washington, that is where we are headed. Big Government is reporting today on some aspects of ObamaCare that I don’t think any of us had considered. Your cell phone is about to become a medical device (yes, you read that right) and your own stem cells are drugs. Good grief! Under the FDA’s expansive parameters, almost any device on which you do almost anything regarding your health – your smartphones, your tablets, your desktop and laptop computers – will be regulated. Did you use your smartphone/tablet/computer camera or microphone to monitor something health-related? It just became an Obama FDA-regulated medical device. Did you save your health care data on any smartphone/tablet/computer? That too is now regulated. Did you send an email containing any health care information to your doctor? The device from which you sent said missive is too now regulated. …Obama’s FDA is concurrently asserting that the adult stem cells in your body are a “drug” – and that therefore your body is now government regulatory property. We have entered the Twilight Zone. If you care to leave the zone, please vote Republican in November. CBN News posted an article today about the cost of federal regulations. Author Phil Kerpen looks at how such regulation is crippling the economy in his book titled Democracy Denied: How Obama is Ingnoring You and Bypassing Congress to Radically Transform America. How much do regulations cost? “They found that each federal regulator destroys an average of 98 private sector jobs per year,” he said. And each federal regulator wipes out about $6.2 million in economic output each year. “These busy bodies who are being paid with our tax dollars are spending all day long interfering in the private economy, and that has a very real, very negative cost associated with it,” Kerpen said. The same study found cutting the budgets of the federal regulatory agencies just 10 percent would add about $150 billion to the gross domestic product every year. And increase the creation of private jobs by 2.5 million or so a year. We live in a representative republic. We are responsible for the government we have. If the government is not working, we have the responsibility to replace it. “Nuff said. Wayne Crews, vice president for policy at the Competitive Enterprise Institute, combed through the 81,405 pages of the Federal Registry — which contains the nation’s regulations on businesses, and state and local governments — and cites a report showing that regulation cost the economy a whopping $1.75 trillion in 2008. The country’s wealth creators need a real review of regulations, not comforting words from federal officials. Out of over 3,500 rules finalized in 2010, OIRA (Office of Information and Regulatory Affairs) reviewed 66 — and of those only did benefit calculations for 20. A simple perusal of the Federal Register shows over 430 rules costing over $65 billion so far this year alone, let alone the entire Crain (Nicole and Mark Crain, author of the SBA’s oft-cited report finding of $1.7 trillion in regulatory costs) universe of rules, which stops at 2008. As the Crains note, regulatory costs are often “indirect,” compared with direct taxation. Combining regulatory costs with federal FY 2010 outlays of $3.456 trillion reveals a federal government whose share of the entire economy now reaches 35.5 percent. In 2010, federal agencies issued 3,573 final rules. While agencies issued 3,573 final rules, Congress passed and the president signed into law a comparatively “few” 217 bills. Considerable lawmaking power is delegated to unelected bureaucrats at agencies, an abuse addressed recently in proposals such as the REINS Act. Proposed rules in the Federal Register have surged from 2,044 in 2009 to 2,439 in 2010, a jump of 19.3 percent. I don’t know what the President will say in his economy speech tomorrow night, but unless he agrees to cut government regulations drastically, the unemployment numbers will not change significantly. On Tuesday, Fox News posted an article detailing some of the current discussions on government regulations and their impact on jobs. Representative John Boehner has asked the Obama Administration for a list of all pending and planned regulations with a projected impact on our economy in excess of $1 billion. This request comes at the same time President Obama is claiming that he is planning to save the government money by cutting regulations. President Obama replied Tuesday with a list of seven proposed rules with an estimated economic impact of over $1 billion. The various proposed regulations apply to the Environmental Protection Agency and Department of Transportation, ranging in rough costs from $1 billion for DOT hours of service regulations, to as much as $90 billion for ozone air standards. 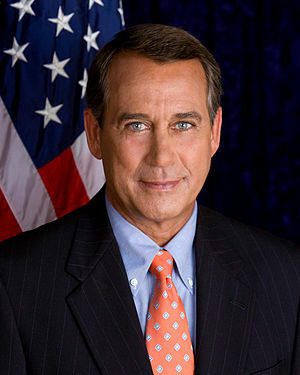 Boehner’s office answered Obama’s letter with a statement Tuesday afternoon bashing the seven regulations. The amount of savings President Obama has called for in the reduction of federal regulations is $10 billion over 5 years. Seems a little unbalanced to me. When the House of Representatives reconvenes this month, it is expected to examine the impact of regulations on employment and propose legislation to free small businesses from excessive regulation, allowing the businesses to grow and to hire new employees.